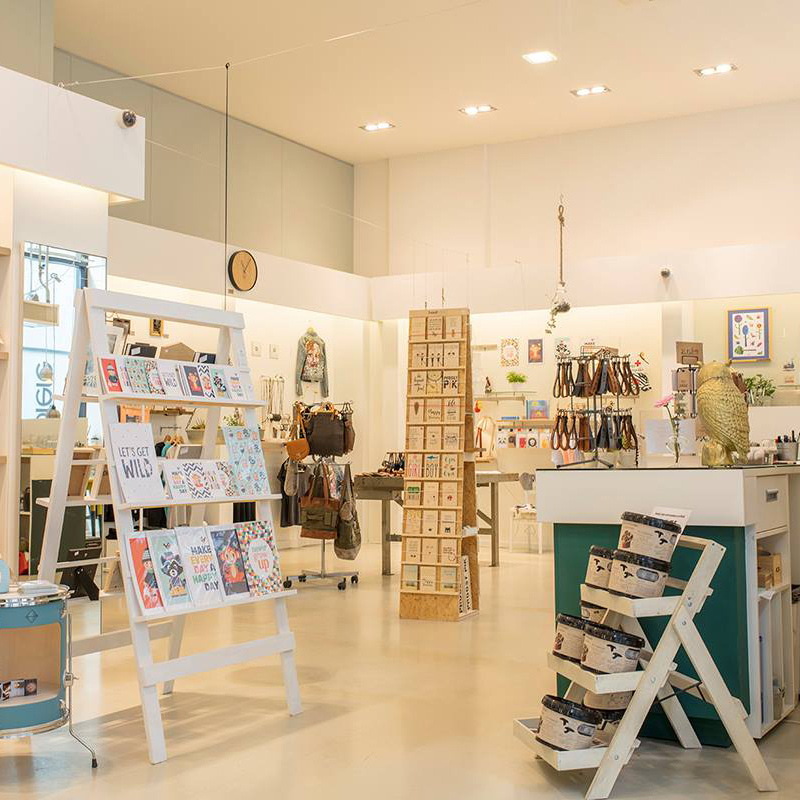 Need to know where to shop, drink or eat in Tilburg? As the city in North-Brabant is becoming more and more popular, it becomes apparent that a guide to Tilburg is what everyone needs at this moment in their life. 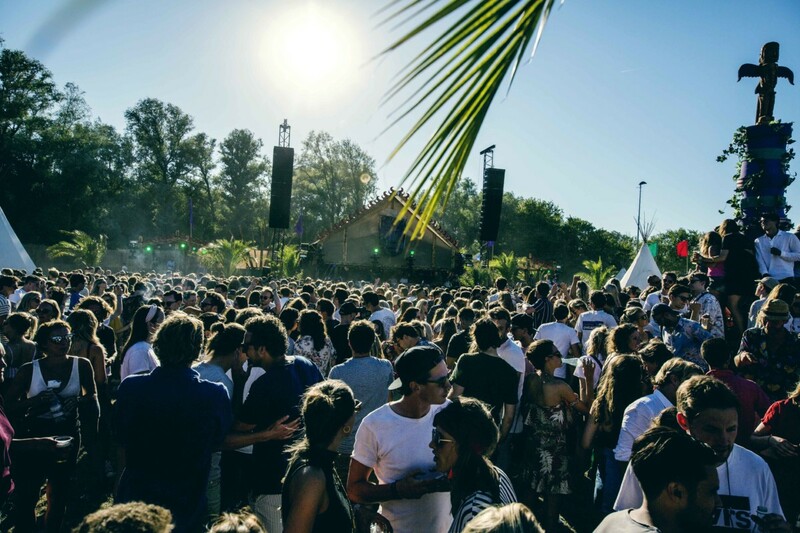 It doesn’t matter if you live in Tilburg, or passing by – there are always new and exciting places to do in the 6th biggest city in the Netherlands. More and more people are discovering Tilburg, the 6th biggest city of the Netherlands. It has been appealing to students from all over the world because of their wellknown university, but in recent years other visitors have discovered it too. And rightfully so, Tilburg is booming! 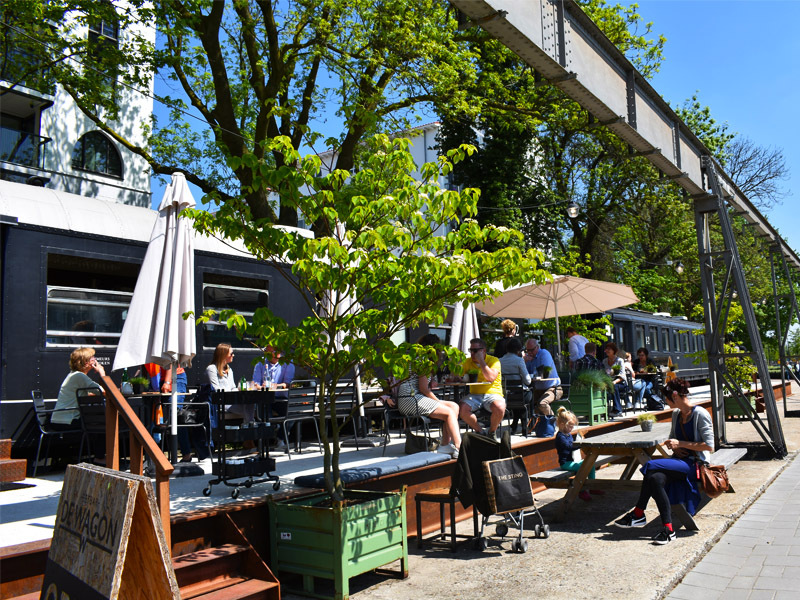 As Tilburg is becoming a popular daytrip destination, many new restaurants, bars and shops have opened up in the last few years. So it can be a bit tricky where to go shopping, lunching or partying. 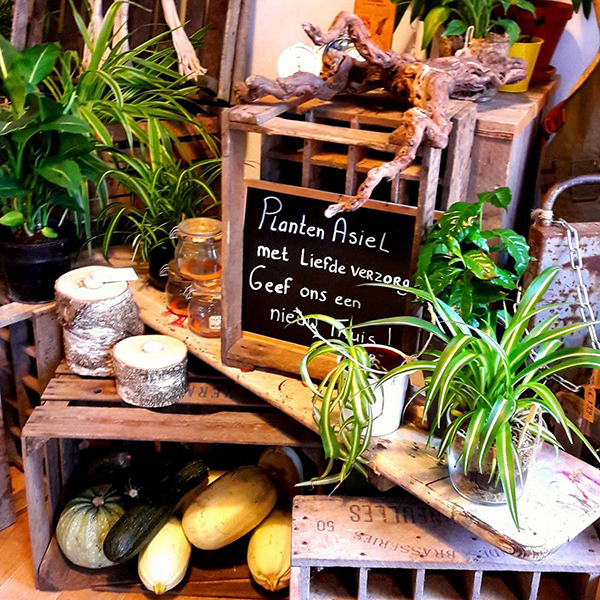 Our local hero Anne from Anne Travel Foodie is showing you where to eat, drink and shop in Tilburg. 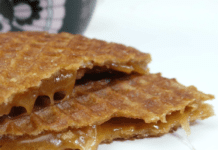 Planning a trip to Tilburg? Make sure to book your table at De Houtloods. This restaurant in the Spoorzone behind the central station alone is already worth a trip to Tilburg. The interior is different than a regular restaurant. The open kitchen is placed at the center of the restaurant. You can literally watch the chefs as you’re having dinner. I always appreciate my plate so much more when I see how much effort the chefs have put into it! And they really do put a lot of effort in each dish. The combination of flavors and textures is perfectly in tune! De Wagon is from the same owners as De Houtloods and also has a unique interior. 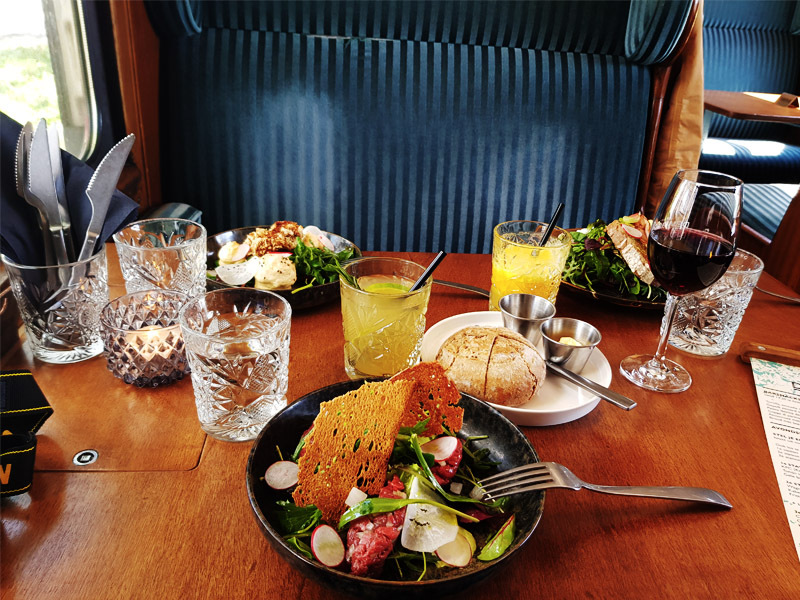 The entire restaurant is built in a former train wagon! 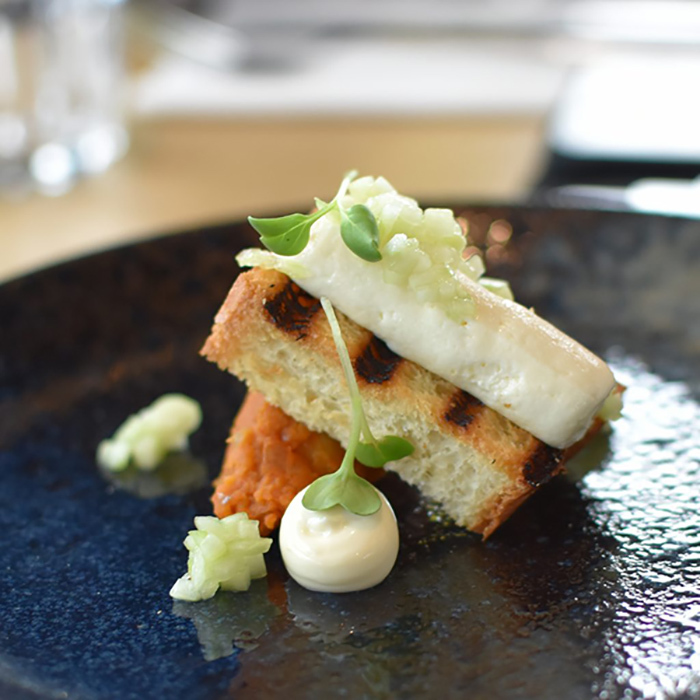 The unique location is a reason to visit on its own, but the food is also delicious. And what I like best is that they have their own homemade iced teas, juices and lemonades. They have a simple but tasty lunch menu and an exclusive dinner menu. RAK is a restaurant at the harbor of Tilburg, which is called the Piushaven (check that area out anyways, it’s really nice). RAK is literally located on the water, making it a wonderful location to visit. If you’re eating inside you’re floating on the water and on the big terrace outside you’ll overlook the water. The interior has hints of soft pink, green and dark-blue and wouldn’t misfit in a hip neighborhood in London. For lunch RAK serves sandwiches, salads and soft shell taco’s and the dishes for dinner vary from bavette to mussels. Opposite the water and also at the harbor you’ll find Eethuis Twintig. 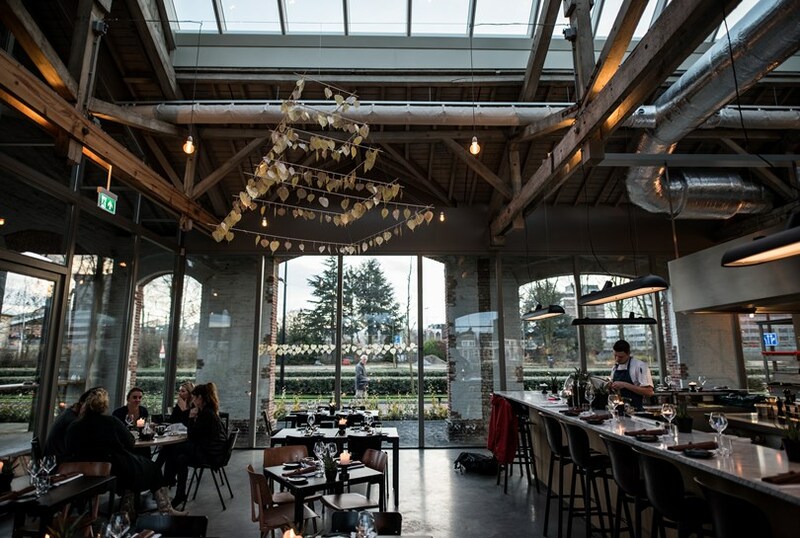 This ‘lifestyle restaurant’ opened their doors in 2015 and switched owners a few months ago. 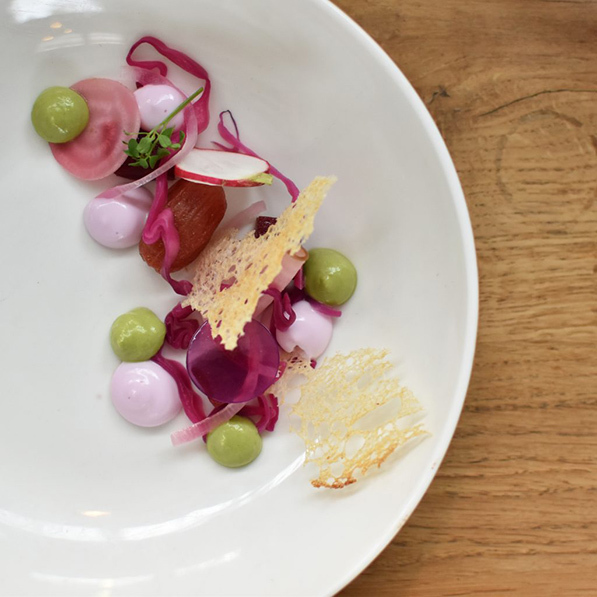 It’s a great addition to the restaurant scene in Tilburg. They have a three-course menu of the month for less than 30 euros and it’s almost impossible to get more value for your money. 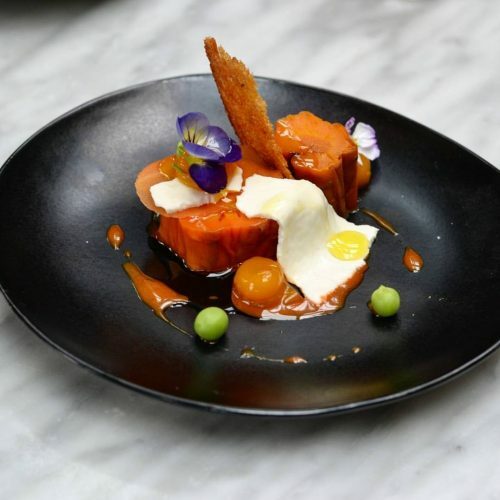 The dishes are very tasty and beautifully presented. They always have a meat, fish and veggie option. And although mostly at restaurants the veggie option is not very creative, it’s often the best dish on the menu here! And yes, they also have a vegan dish on every menu. 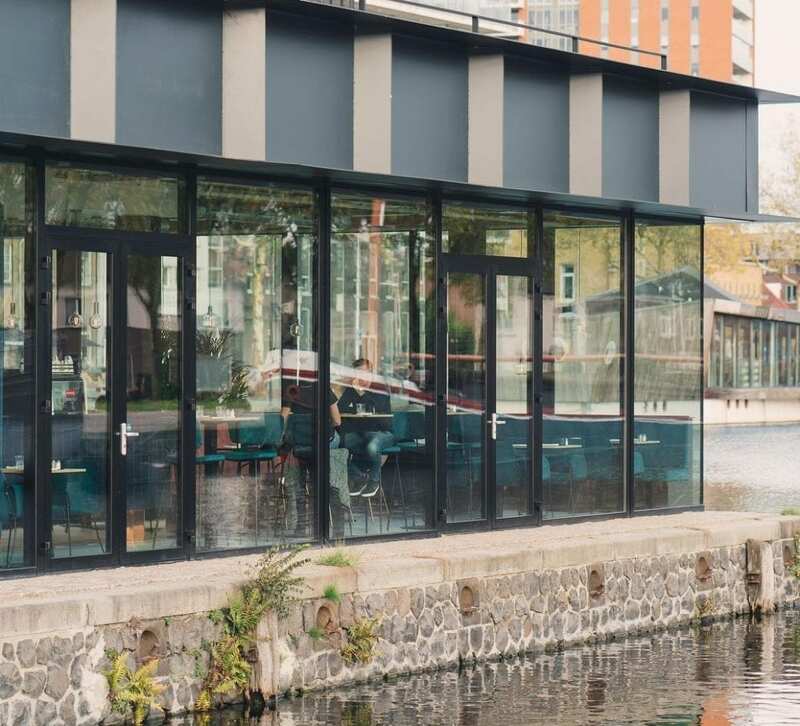 One of the best restaurants of Tilburg ‘Auberge du Bonheur’ has recently reopened after a restyling and is now named: La Nouvelle Auberge. The new look is natural chic. The combination of luxury materials with botanic colors gives a warm and positive feel. With a warm dark green as the main color it has both a luxurious as a natural look. Nouvelle Auberge mainly serves pure and seasonal dishes. 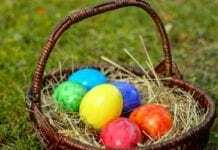 They often use products from their own herb garden or from the surrounding forest. The also think well about the colors on the plate, making it a feast for the eye and also very Instagram worthy! You can choose for the successful Surprising Seven menu, a seven-course dinner with matching wines that has been sold over 7,000 times. 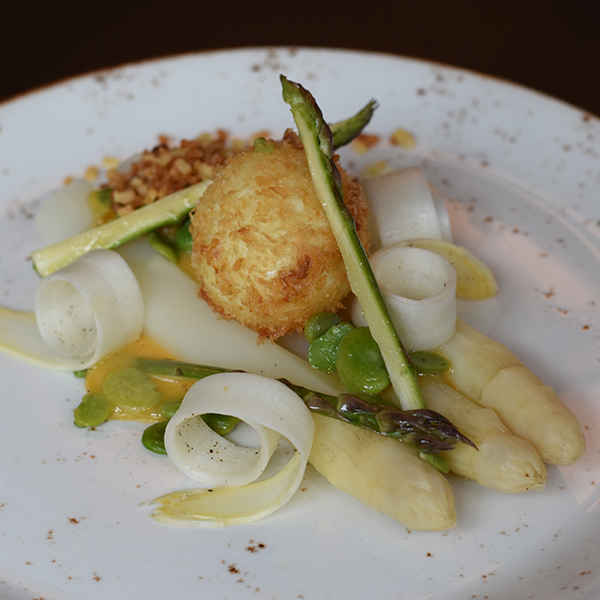 Or order the La Nouvelle Auberge Menu which you can have from 3 up to 6 courses. 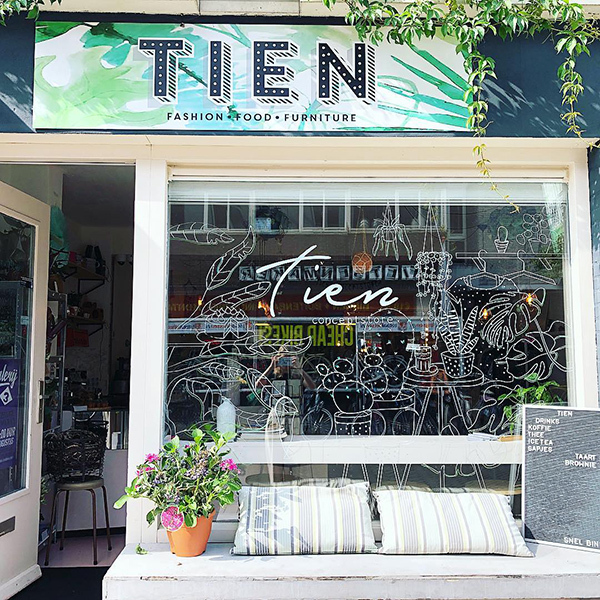 Tien is a concept store where you’ll find a nice mixture of clothing, jewelry, gifts and interior design items. The inspiring collection of unique brands is carefully selected and the assortment changes regularly. After trying on your new outfit you can have a drink, a grilled cheese sandwich or a piece of cake in the front of the store. Just a few doors down you’ll find Velerlei. Velerlei is housed in spacious premises and has many smaller shops inside. There’s an eco-hairdresser, a couscous bar and a coffee corner selling vegan cakes just to name a few. If you like shopping, Velerlei is a paradise for you. 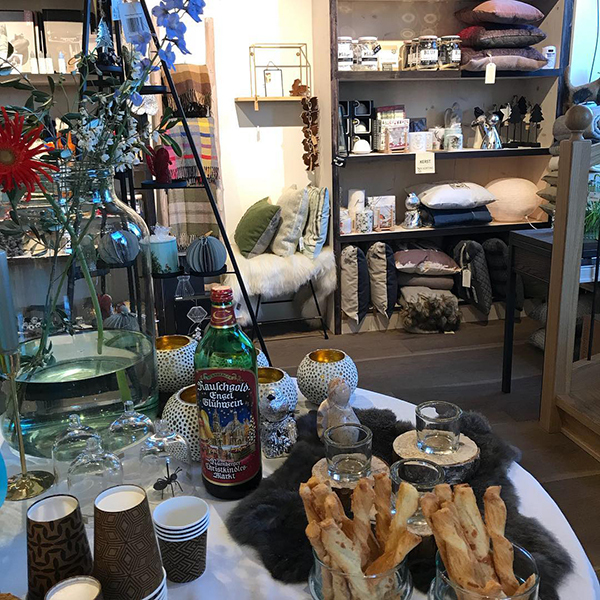 There’s a big area where you can buy second-hand clothes and furniture but there are also cabinets for all kinds of brands like a tea brand, a children’s clothing brand or a home accessories brand. The Pastorielokaal can be found at the harbor area. It’s the perfect spot if you need a gift for someone else or for yourself. They’ve got great accessoiries for your home; from lamps to cutlery and from posters to cups. They also have a nice collection of postcards and small gifts for special moments. Inside the Pastorielokaal you can find Zoete Moed where Yvette sells here homemade cakes and other sweets. She also makes very good peanut butter by the way! 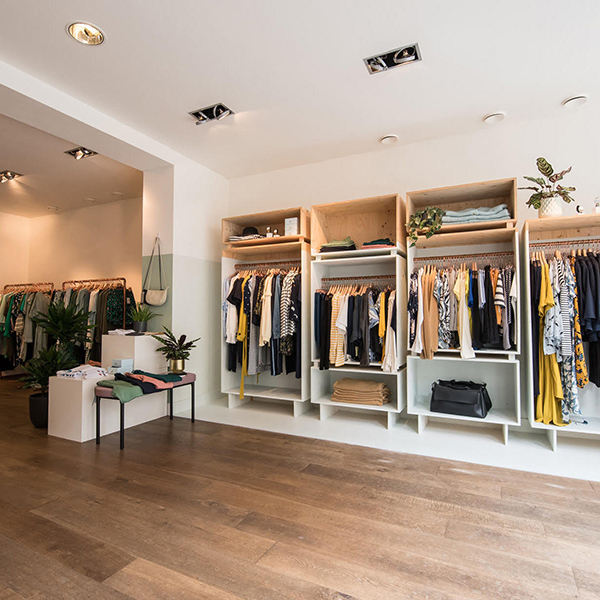 Mint & Pepr is an original clothing store in Tilburg. Housed in a charming building at the end of the main shopping street the Heuvel. Mint & Pepr is run by the charming couple Tjerk and Margriet, who also have 2 daughters together. It’s the perfect address for a fashionable outfit that’s still unique. You’ll find original pieces here that aren’t too strange and the service is great. You might need to search for Vandemaker (‘fromthemaker’) when you’re visiting for the first time as it’s located in a quiet street just off the main shopping street, but it’s definitely worth a visit. At Vandemaker they sell work from (mostly local) creatives. 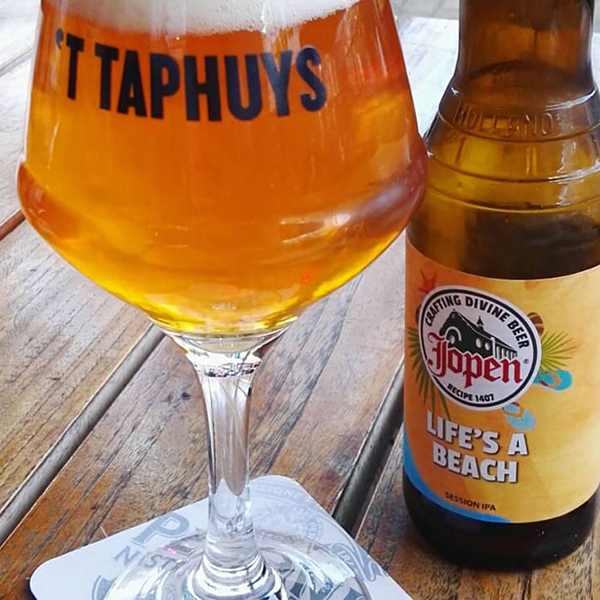 There are many reasons why Taphuys is a great spot to go for a drink. First of all, it has a great location at a square with several bars where many people meet-up to go for a drink. But it also has a beautiful interior with golden and dark blue accents. And not to forget that you can tap your own beers from the wall. The interior at Eve is beautiful! If you want to impress your guests from another city, Eve is a great place to go for a drink in Tilburg. It’s a spacious building and the interior and furniture are well thought out. Also check the huge gear wheels above the bar and the wine lockers on the 1st floor. 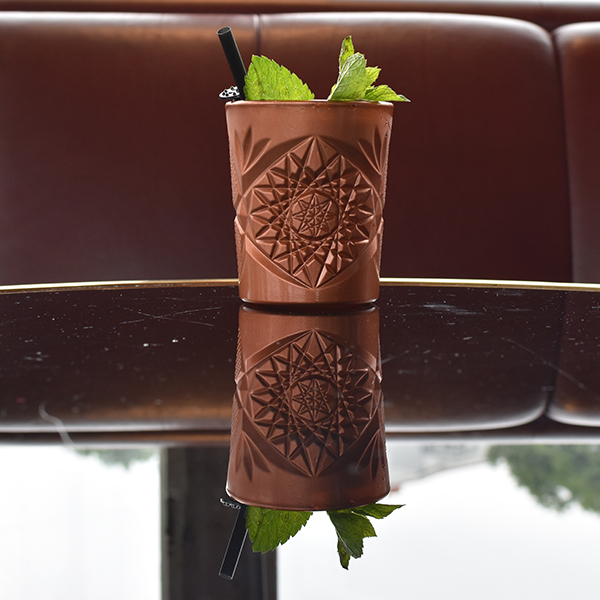 Their signature drink is a Moscow Mule, one of my favorite cocktails. Bargús is a bit tucked away in an area that’s normally more popular for lunch than for drinks, but it’s worth the detour! It’s the perfect spot for a good glass of wine, a cold beer and nibbles. The interior of Bargús is very stylisc. The couple Hilke and Steven are the owners of Bargús. They came up with the idea to open a ‘borrel-bar’ when they were travelling in Malaysia. The name Bargús comes from the Malaysian word ‘bagus’ which means good, nice and pleasant. 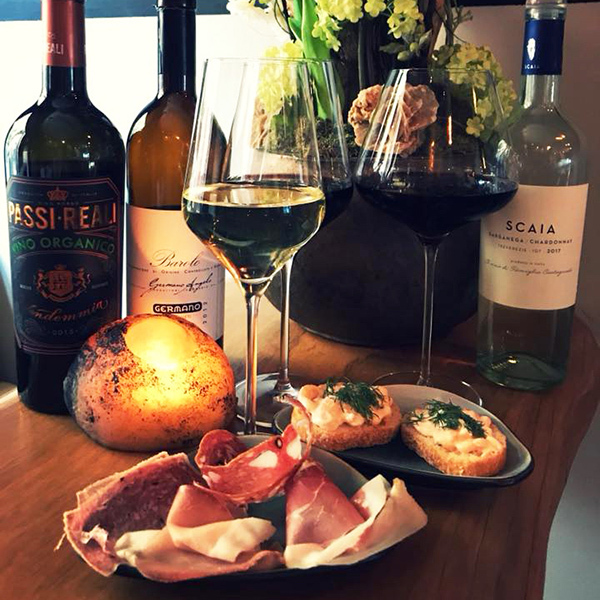 Right next to Bargus you’ll find Wijnbar Cru, this small wine bar has a unique range of wines and other drinks. They serve wines from all the big wine countries like France, Spain and Italy. From accessible wines by the glass to more special wines per bottle. They also serve snacks and arrange wine tastings. De Korte Heuvel is my favorite area to go for a drink in Tilburg after dinner. This small street is lined with bars and since cars are not allowed you can expect street parties with carnaval, Kings day and the Tilburgse Kermis (fun fair). 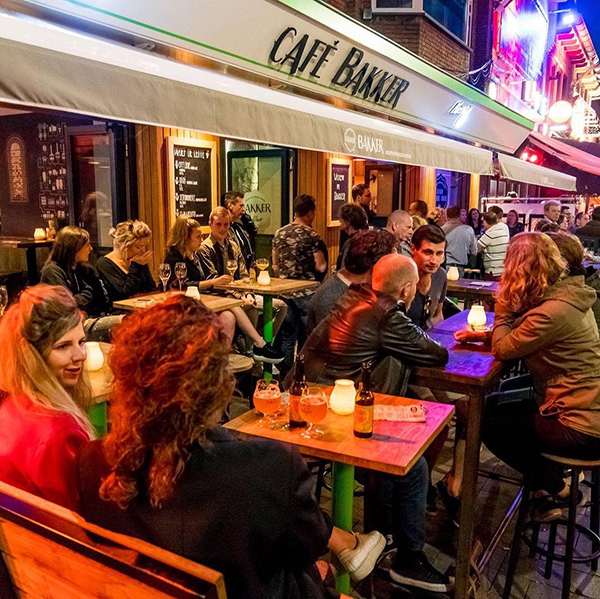 A great bar to go for a drink at the Korte Heuvel is Café Bakker. 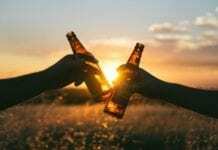 Not only because they have a big variety of beers on draught and bottle, but also because the music isn’t too loud and you can have a nice chat with your friends. So there you have it – the ultimate guide to Tilburg. Where to eat, drink, and shop – you have it all. 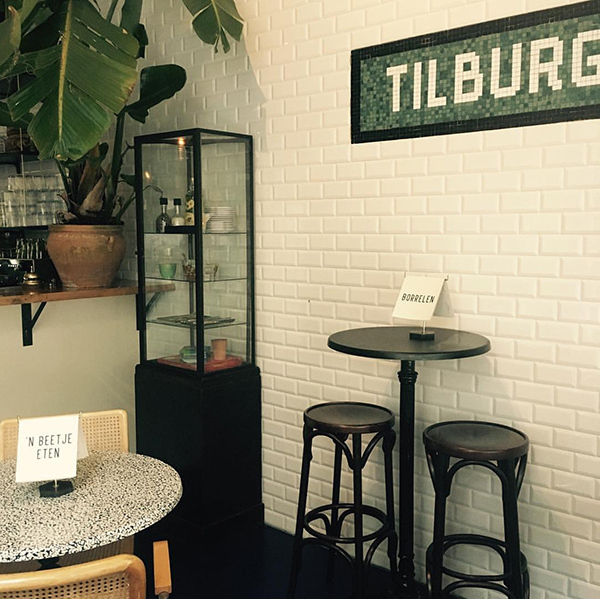 Have you ever been to Tilburg? What do you think about this lovely city? Let us know in the comments below! website annetravelfoodie.com. As the name suggests, she blogs about travel and food. On her website and social media accounts she shares vegetarian recipes, healthy food spots and original travel blogs. Don’t forget NEW hotspot “City Brewery 013” (Stadsbrouwerij 013)! Brewery with amazing restaurant and tasting room at the harboury! You really gonne love it!